The domestication of fire has illuminated the home for function and atmosphere for centuries. Despite the often short lived trends in architecture and design, placing a fireplace at the heart of the home has remained constant. For over 30 years Montigo has been building linear and traditional fireplaces for the highest end luxurious residential spaces. 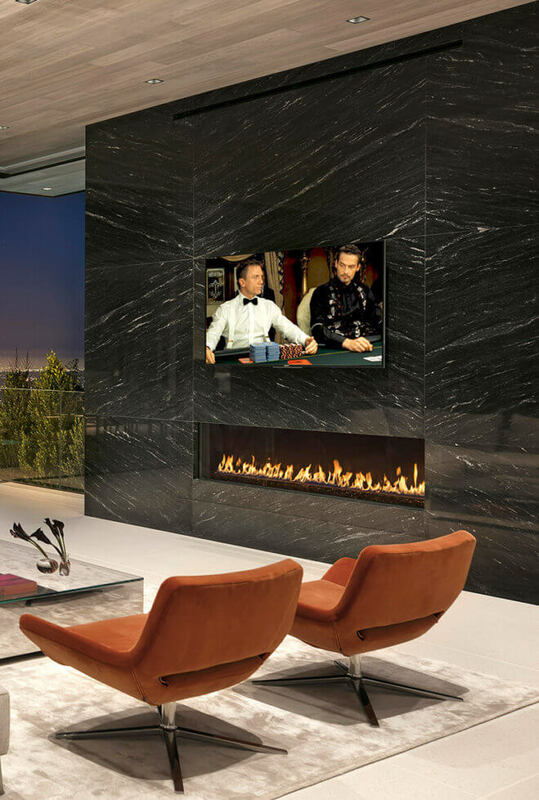 From unique 8 foot tall room dividers to dramatic 20+ foot long flames that truly make a statement, the goal of the Montigo custom fireplace team is to work with architects, custom home builders and their clients to incorporate an exclusive element of flame that dances and enhances your new favorite space. While ensuring our clients receive a dramatic and beautiful focal point in their homes that they will love for years to come is what we strive for at Montigo, there is one feature of each fireplace we build that is of unequalled importance to Montigo – Safety is paramount to the engineers at Montigo. 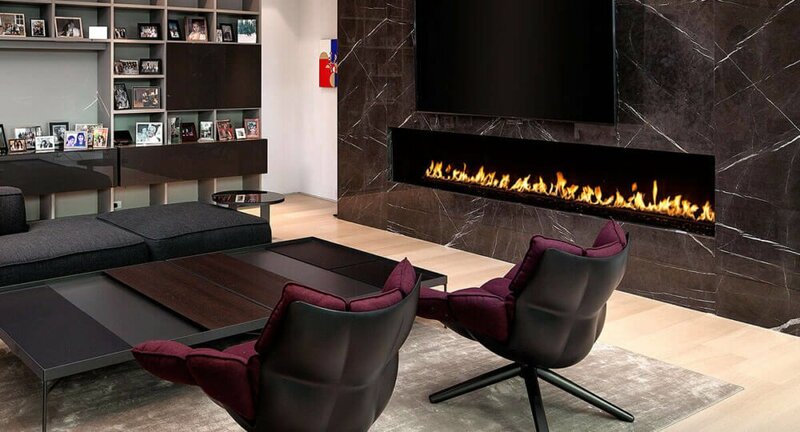 In addition, every Montigo custom fireplace is enhanced with our proprietary COOL-Pack or Power COOL-Pack system. With two layers of glass and a cooling air wash between them, there is no need to obscure the beauty of the flame with a screen to keep your children or your guests safe. Of course, as a result the only worry you should have when it comes to your custom fireplace from Montigo is which of our gorgeous accessories you will select to enhance your fire further. Venting capabilities beyond 500ft with several termination options and multiple air intake location options provide our installers with exceptional installation flexibility. What this really means to our clients is that there are virtually no limitations to which space in your home you wish to enrich. Montigo’s sleek minimalist design of lines and ingeniously concealed technology means that when your fireplace is not in use it will fade into your living space and let life take over.